With the many makeovers going on everywhere, it could really encourage and urge others to update the look of their spaces too. Others feel that if they do not update their own homes, they are being left behind. But still others may also think that they would retain the look of their space to preserve some history or some family story. What we are going to feature today is a house that underwent renovation as inspired by what the owners can see around them. 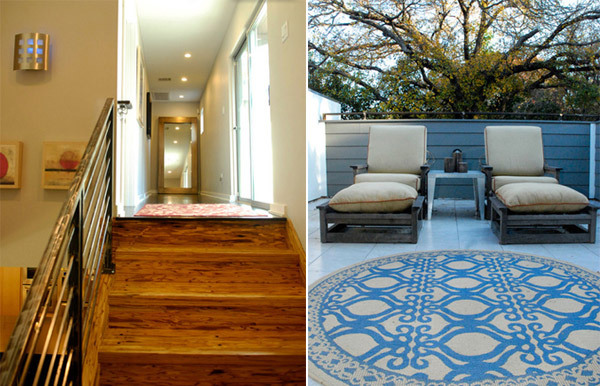 A couple did a renovation of their house after they have done a makeover to their shop, a salon in the city of Austin. 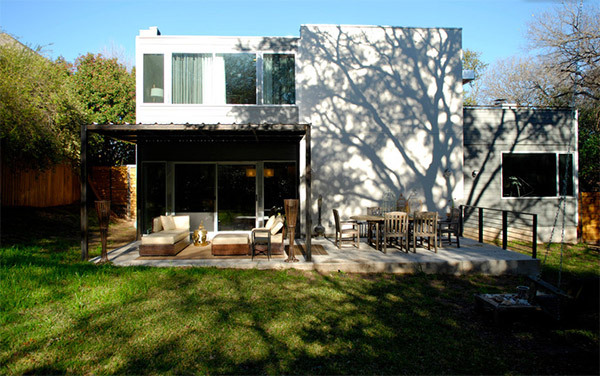 They were inspired by the visual effects of the downtown area and decided to give their house a modern sleek design both in the exterior and interior. Couple Chris and Leigh Cortinaz and their long-haired Chihuahua, Delilah lives in this house located in Austin, Texas. It is a 3,100 square feet house with 3 bedrooms and 2 1/2 bathrooms. Let us take a look at the photos of the house below before and after the renovation. The facade and back area of the house looked dull and nothing is interesting about it. The traditional shutters were replaced with new concrete retaining walls and a low-maintenance landscape was added for more visual appeal. On the foyer, there is a Tibetan goddess who will greet the visitors into the house. 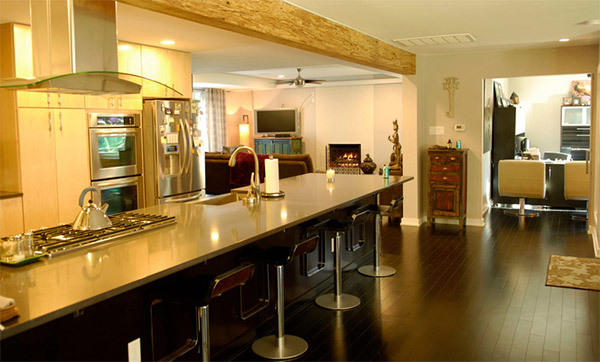 The owner always wanted a kitchen where she can cook while the guests can just sit on the bar on the other side. 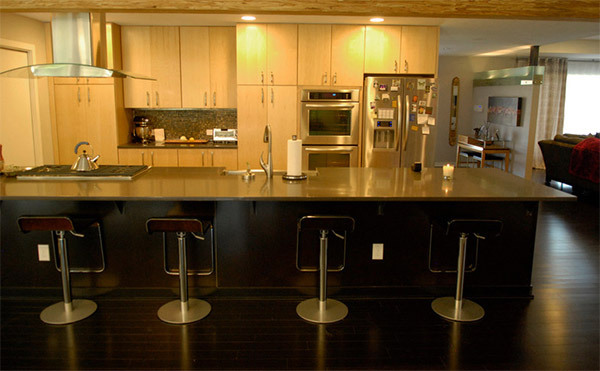 Aside from the new black bamboo floors, it also added a beam over the kitchen island which is made from engineered wood. 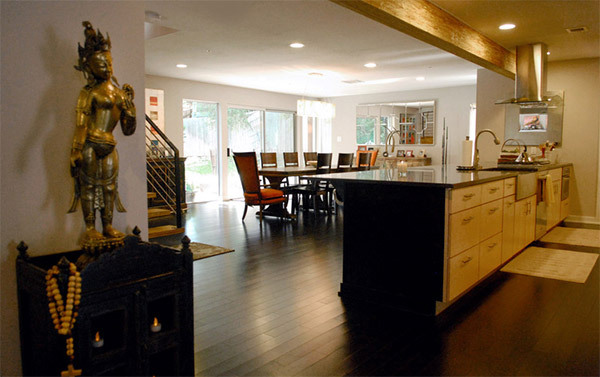 To the left of the entry is an open living space inspired by a hotel the couple loves. From the kitchen, one can directly see the dining area which also opens up to the view of the backyard. Neutral colors and dark woods were used for the interior which is the same colors they used for their salon. 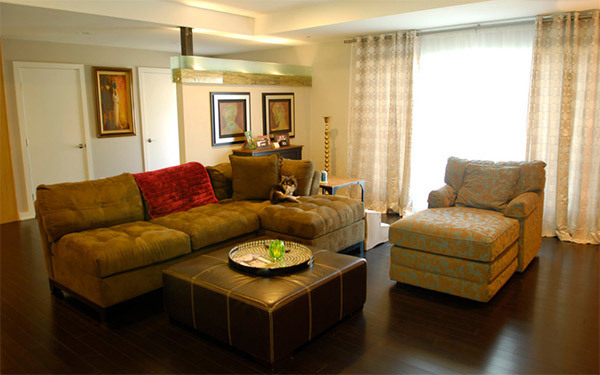 With this, they are able to get a warm and inviting modern space. On the left is the staircase with chrome railing and exotic engineered wood. On the right is the second floor balcony which has items from Craigslist. 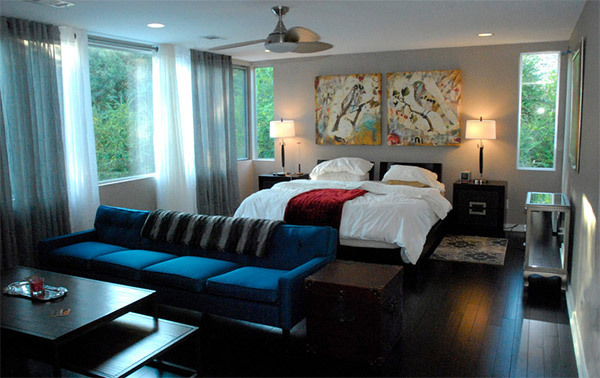 This is the master bedroom with a Zen-like feel. It has a lovebirds painting on the wall and a blue reupholstered sofa that used to be in the salon. The exterior of the house used stucco and cream paint. It also have a covered patio area which is a nice place to hang out. 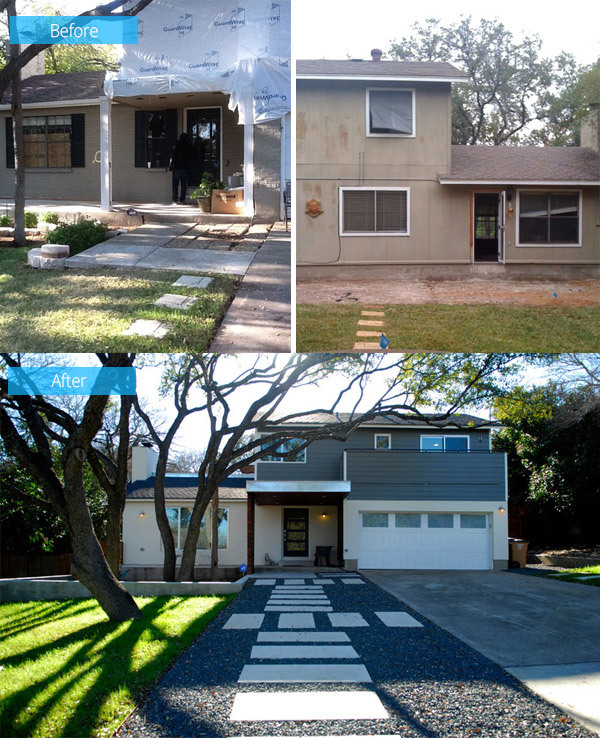 If you are not that motivated to do a makeover for your own homes, take the words from Chris about their Austin home renovation, “Be patient and stay focused on the end result. It’ll all be worth it in the end.” I know we all agree that he is right. And the concrete evidence of that is his own home. 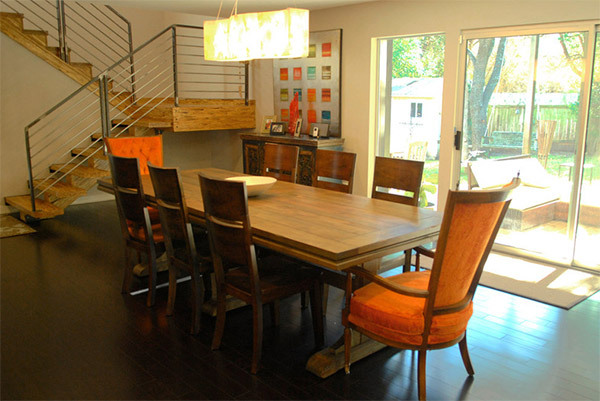 The remodel was done by architect Jared Haas of Un.Box Studio and Ranch Carpentry.